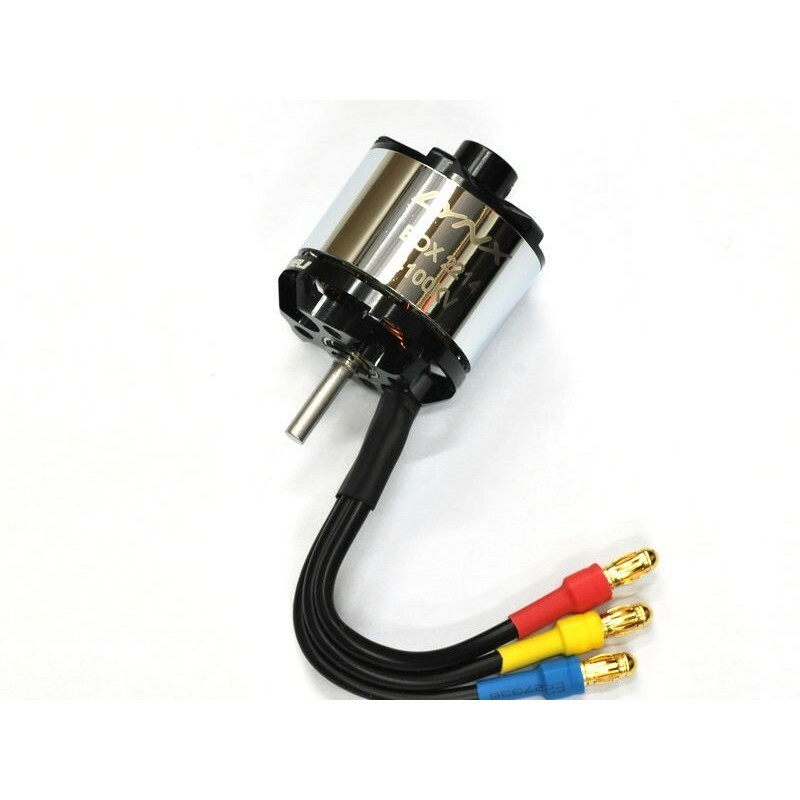 Lynx EOX brushless motors a new generation of high power, high efficiency helicopter motors. Our new EOX motors will open your eyes to performance. Developed by Lynx, these motors are perhaps the ultimate helicopter upgrade. Featuring a single wire coil assembly for the best in efficiency, power and cool running. The EOX-2214 - V2 motor is the ultimate powerhouse for your 300X. The V2 edition is designed to increase the Max Output Power and work with 3S and 4S. We introduce 3 Radial Bearign shaft supportand 100% Factory fine motor balancing for the ultimate motor consistency and vibe free. Overall dimension was designed to fit in the standard 300X frame without touch battery or servo. EOX 2214 - V2 is sale with standard 300X cable connector plugs. So the next time you want to upgrade your helicopter – think Lynx EOX!